Who said weight training gloves have to look like weight training gloves? 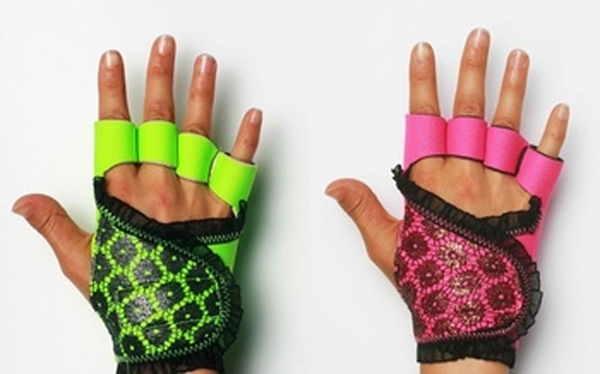 Not BodyRock Sport because the fitness-fashion brand is now selling some of the edgiest fitness gloves ($50-$60) we've ever seen! The benefits of wearing fit-gloves are great. They protect your hands from injury, bruising, chafing and drying out against rough surfaces in fitness environments. Gloves also shield your precious digits from bacteria easily spread through shared equipment. The gym is a fantastic place, just not one you want to take a microscope to. Our favorite BRS glove is The Robin. What's yours?